Set in the pretty village of Tredington, near Stratford-upon-Avon, this 18th century water mill is perfect for exploring the Cotswolds and Shakespeare Country. Set on its own island, this historic mill is in a spectacularly beautiful part of the River Stour. There's a weir, a weeping willow, and visiting wildlife that ranges from swans and kingfishers to a heron and the occasional otter. Tredington, a peaceful Warwickshire village surrounded by quiet countryside and Cotswold Hill walks is a conservation area and contains a mediaeval church filled with reminders of centuries of history, remarkable period architecture, and a children's playground. 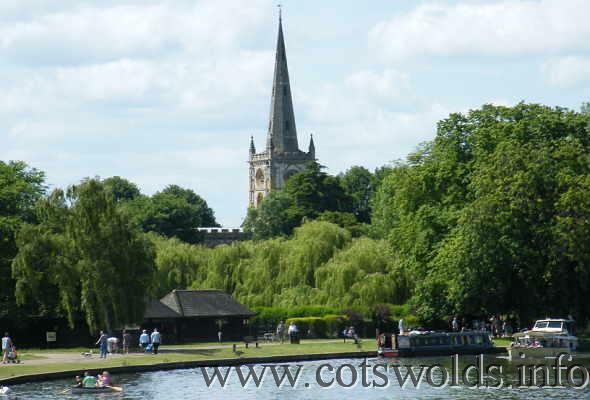 The town of Stratford upon Avon is located north of the Cotswold limestone belt and beside the River Avon. 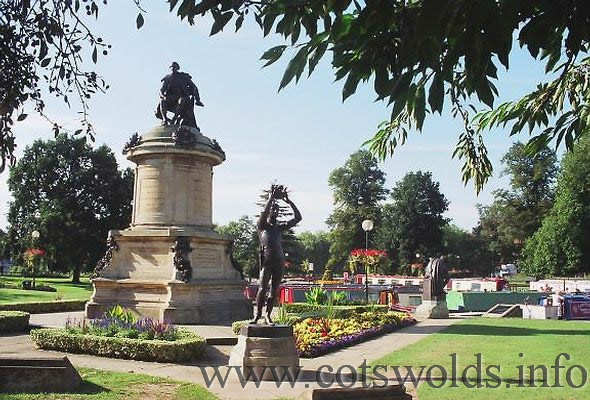 The town does not pretend to be a Cotswold town but it is an important gateway to the Cotswolds. View Picture Gallery. Once known as Stradforde this historic town has grown from a small settlement on the River Avon housing a population in Saxon times of little more than 1000 to a town that attracts millions of tourists from around the world each year and now has a population of some 25,000. At the time of Domesday it boasted one watermill that produced 1000 eels each year in its pond. Get ready for a Shakespearean knees-up as Stratford-upon-Avon celebrates the Bard's birthday in 2016, and also commemorates the 400th anniversary of his death on April 23. Along with a street party on that day - which this year will-include a New Orleans jazz procession - there are plenty of attractions to enjoy. Visit where his imagmation was first sparked at the 15th Century King Edward VI School, and peek inside the world renowned costume store for the very first hme at the Royal Sharkepeare Company's newly reopened theatre - The Other Place. From July, visitors can see the playwright, in a new light as a father, husband and businessman at New Place, the site of the Shakespeare family home for 19 years. Stratford upon Avon is situated 22 miles South East of Birmingham and 8 Miles South West of Warwick and is close at hand to the North Cotswolds villages. The town's name is derived from the Old English name of Straet meaning Street and Ford that meant that it forded the river into the town. 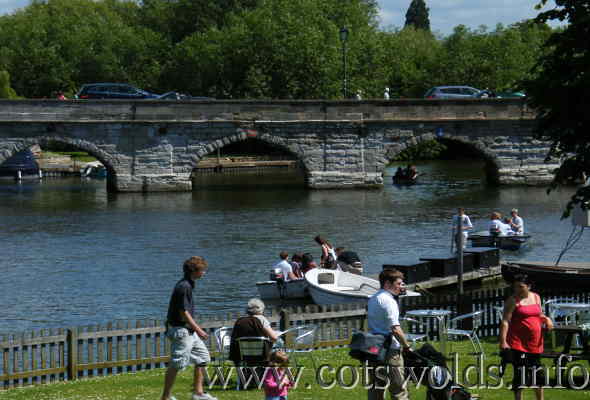 In 1490 Hugh Clopton (he was Lord Mayor of London in 1483) built the present bridge that consists of 14 arches.This is now regarded as an Ancient monument and is still the main thoroughfare in and out of the town. The town was an important place for the wool industry, its close vicinity to the Cotswolds meant that it was a important place for trading of sheep, their slaughter and dealing in fleeces. John Shakespeare (William Skakespeare's father) who traded as a Glover was known to have dealt illegally in these. Tanning was also a major industry during 15th & 17th centuries. Some of the names of streets reflect their historic past - Sheep Street was the place were the animals were driven from the Cotswolds to be traded. This street leads from the town hall to the riverside, the street also had a selection of shops that traded in ladies gowns. An ancient custom that is partly re-enacted is the visit of the Mop Fair, this occurs on the 12th of October. In 1544 a Charter was granted to hold a mop fair, it was the traditional time to hire labour, those seeking work would carry a tool of their trade, if the trade was domestic duties then a mop head was carried hence giving name to the fair. If a job was secured, the individual would then wear a piece of coloured ribbon to indicate that they had been hired and then celebrate by going around the stalls that had been erected and riding on the fairground rides. 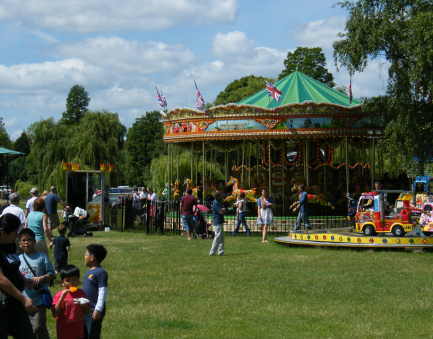 The practice has long been discontinued but is now a visiting fairground with all its delights. The most well known of its citizens is William Shakespeare, born in 1564 exact date unknown but he was baptised on 26th April 1564. He was the son of John Shakespeare and Mary Arden the daughter of a wealthy farmer and land owner. At the time Shakespeare was a child his father the Mayor welcomed groups of actors to entertain the townspeople. 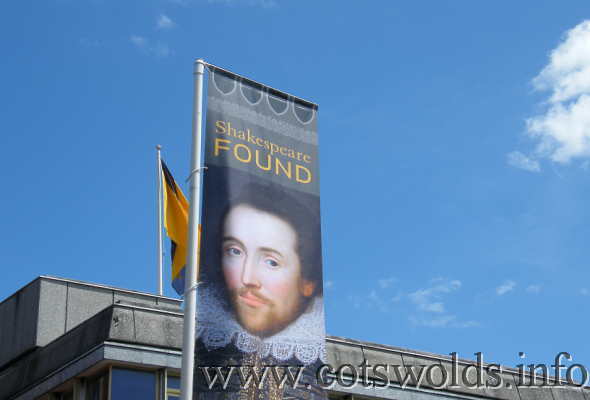 This may have started Shakespeare's interest in the theatre, which led him to London to work, but he returned to Stratford upon Avon near the end of his life. The five houses connected with Shakespeare in and around Stratford-upon-Avon offer the visitor an authentic experience of the Stratford world in which the famous dramatist was born, lived, and died. The houses are now owned and looked after by the Shakespeare Birthplace Trust. The American fountain/clock monument this stands in the market square on Rother Street and was donated by George W. Childs (1829 -1894), of Philadelphia, an American publisher in 1887 to mark Queen Victoria’s Golden Jubilee. 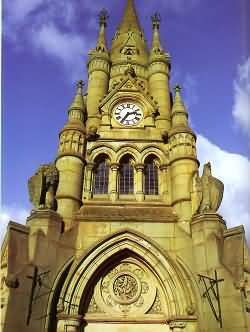 The large Gothic Clock Tower, with sculptures of eagles and lions is an imposing example of design and architecture of the period. The original tower incorporated a fountaint which is now no longer functional. You will see not only American Eagles but also English Lions and a fairy from A Midsummer Night's Dream as part of the stonework. It was unveiled by the English actor Henry Irving. Portrayed above each clock face is a representation of a fairy inspired by Shakespeare in 'A Midsummer Night's Dream'. Mary Arden's tudor house where the Bard's mother was brought up. Ann Hathaway's cottage where she lived until Shakespeare married her in 1582. Shakespeare's childhood house where he was born in 1564. Hall's Croft is one of the finest half-timbered gabled houses in Stratford-upon-Avon. It was named after Dr John Hall who married Shakespeare's daughter Susanna in 1607. Nash's House was owned by Thomas Nash first husband of Shakespeare's grand-daughter Elizabeth. Shakespeare spent his last years in New Place next door to Nash's house. Fastaffs Experience at Tudor World. 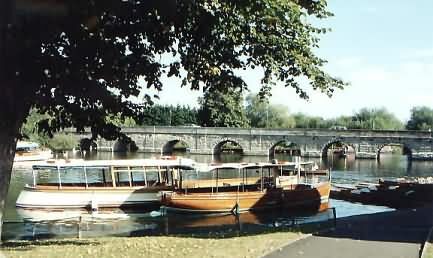 Boat trips on the River Avon, shopping in the thriving retail centre, dining in the wide variety of pubs and restaurants. The stately home of Charlecote Park - The House is the home of the Lucy family, begun in 1551 and situated next to the river Avon in the heart of an ancient deer-park with views to Stratford-upon-Avon a few miles away. Shakespeare, in his younger years, was reputed to have poached deer from here. Make the most of your visit with a guided walk around Stratford to see the Shakespeare Town Houses, Royal Shakespeare Theatres, Holy Trinity Church and much more. The guide will entertain and inform with amusing anecdotes, tales of fires, flood, plague, mediaeval cures and history of the town. The ideal way to discover Stratford and Shakespeare. 1½-2 hours. Tel 01789 292478 or 07855 760377 for further information, or visit www.stratfordtownwalk.co.uk. Reservations call 01789 292478 or 07855 760377. For information visit www.stratfordtownwalk.co.uk. Stratford and the surroundings are relatively flat, and cycling is a pleasant way to get around. Stratford Bike Hire is a cycle hire delivery service for Stratford and the surrounding area of Warwickshire and the Cotswolds. They deliver your rental cycles to your home, hotel or cycle starting location then collecting them at the end of the rental period. Tel: 07711 776340. Web: www.stratfordbikehire.com. Pashley Cycles is England's longest established bicycle manufacturer. 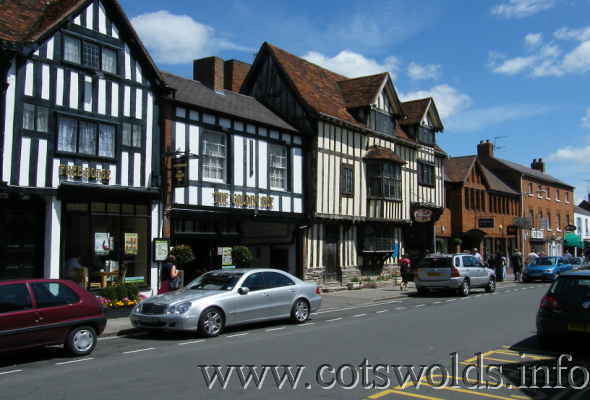 Founded in 1926 and is based in Stratford-upon-Avon. The dedicated team design and hand-build a unique range of specialist bicycles and tricycles.